If you’re ever in Bali, check out this cliff edge from Pecatu Uluwatu. Standing on the edge of the world, facing the huge ocean, realizing how small you are. On this edge of the cliff it feels like being weightless. It’s like gliding effortlessly above the ocean. 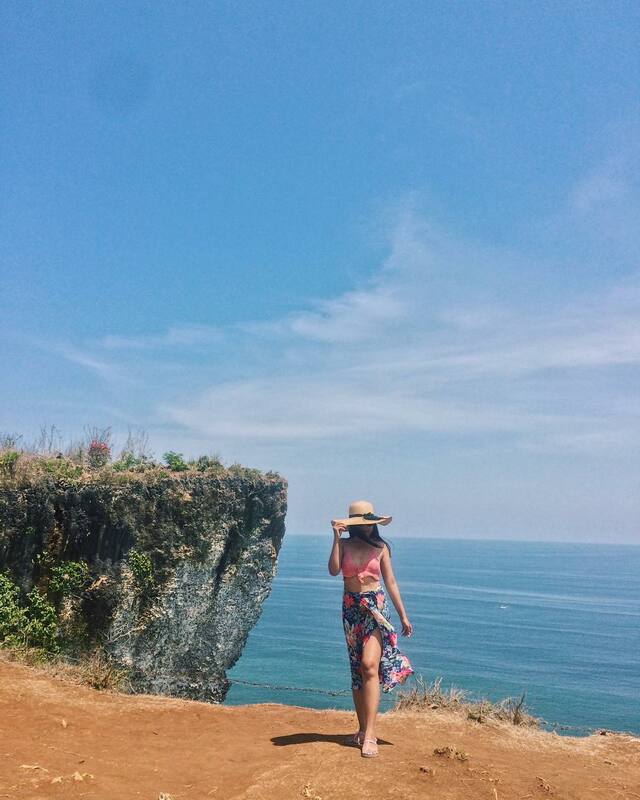 Karang Boma Cliff, also known as Uluwatu Cliff, has recently become a popular spot for photographers and Instagram fanatics across Bali. Just a short drive from some of the best beaches in Uluwatu it’s definitely worth a drive up to and although we didn’t many people recommend it for sunset. The drive in is sweet and simple. You can park you bike at the top of the hill and head through the bushes to pop out at the viewpoint. We headed up with a gang of friends and got snap happy. The only thing missing was a picnic!